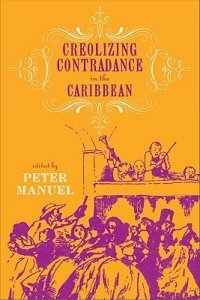 The contradance and quadrille, in their diverse forms, were the most popular, widespread, and important genres of creole Caribbean music and dance in the nineteenth century. Throughout the region they constituted sites for interaction of musicians and musical elements of different racial, social, and ethnic origins, and they became crucibles for the evolution of genres like the Cuban danzón and son, the Dominican merengue, and the Haitian mereng. Manuel, Peter, ed. Creolizing Contradance in the Caribbean. Temple UP, 2009.